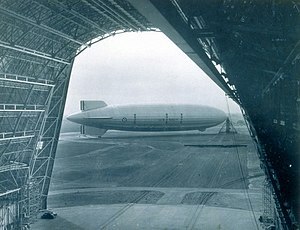 The USS Macon ZRS-5 and its sister ship (USS Akron ZRS-4) were the largest helium-filled rigid airships ever built, and the largest airships built in the United States. The Hindenburg LZ-129 was 19 feet 10 inches longer and is the largest airship ever built, and the largest hydrogen-filled airship ever built. Because of the size of the Macon and the Akron, German engineers came from Germany to assist with the design and construction of the sister ships. 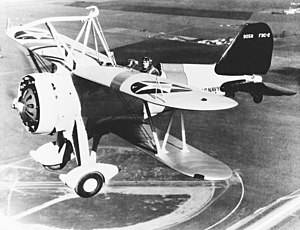 The Macon was built as a flying aircraft carrier, carrying 5 F9C Sparrowhawk biplanes. 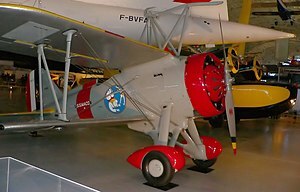 The Macon was commissioned on 23 June 1933, and docked its first airplane on 6 July 1933. 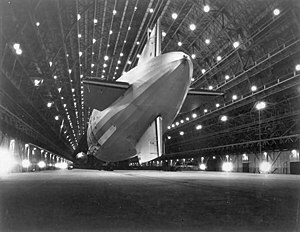 The planes were stored inside the hull of the airship. On 24 June 1933, the Macon left Lakehurst, New Jersey, the site of its construction, for its new base near San Francisco, California. 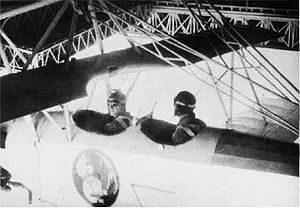 The Macon developed the procedures for using airplanes from an airship for scouting purposes. 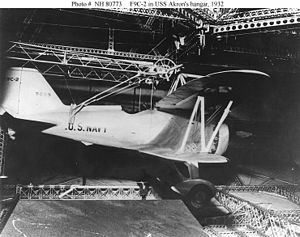 While the airplanes were onboard the Macon, the landing gear was removed and replaced with fuel tanks, increasing the airplane’s range by 30%. The Macon had a stellar reputation, with an outstanding performance record. Just before the fatal crash of the Macon, the airship was forced to dump 9,000 pounds of ballast and 7,000 pounds of fuel to clear mountains in Arizona. The Macon had to fly up to 6,000 feet, more than twice as high as its maximum flight ceiling altitude of 2,800 feet. 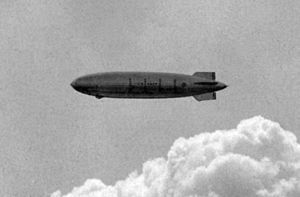 Even with the dump of fuel and ballast the airship was still 15,000 pounds heavy and had to be flown at full speed to maintain altitude. 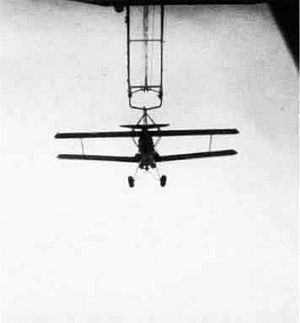 As the airship approached a mountain pass near Van Horn, Texas it encountered severe turbulence and had a rapid drop in altitude, damaging the rear of the airship. Fast action by Chief Boatswain’s Mate Robert Davis saved the Macon. Permanent repairs were scheduled for the Macon’s next overhaul, an overhaul that would never happen. Then on 12 February 1935 while returning to its base, the Macon ran into a storm off Point Sur, California. The Macon was caught in a wind shear and the repaired tail section of the airship failed again, puncturing a gas cell. The crew performed a massive ballast dump to keep the Macon out of the sea. The Macon reached 4,850 feet and then slowly descended as it continued to lose helium, eventually sinking into the Pacific Ocean. Two of the 76 crewman perished. Radioman First Class Ernest Dailey jumped into the sea while the airship was still too high. Mess Attendant First Class Florentiono Edquiba drowned while swimming back into the Macon to retrieve personal belongings. Commander Wiley, the airships commanding officer, was later decorated for attempting to swim the Edquiba’s aid. It was later determined that if the Macon had not gone above its 2,800 foot ceiling it could have survived the structural failure of the stern section of the airship and could have returned to its base. Also lost with the Macon were the four aircraft it was carrying at the time. The Macon had completed 50 flights since it was commissioned, and was stricken from the register of Navy ships on 26 February 1935. All future airships of the Navy would be non-rigid blimps. In 1991, the Macon was found. The debris field was explored with sonar, still photography and video; some artifacts were also recovered. In 2005, a side-scan sonar survey was made of the wreck site. 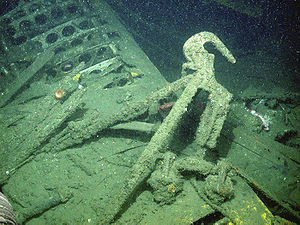 In 2006, another expedition went to the wreck site, this time with high-definition video as well. More than 10,000 images of the debris field were taken. The exact location of the Macon, within the Monterey Bay National Marine Sanctuary, remains a secret. However, it is known that the debris field is more than 1,500 feet deep. 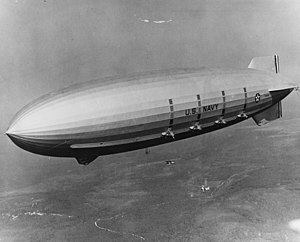 The United States used the safe, inert helium gas for its rigid airships. The United States, at that time, had almost all of the known reserves of helium, and refused to allow the export of helium to Nazi Germany. Germany was thus forced to use the highly dangerous and flammable hydrogen gas for all of its rigid airships. Yet, Germany had a much better safety record with its rigid airships. 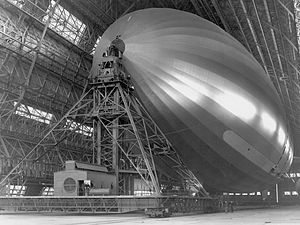 By the time, the United States decided to enter the rigid airship industry Germany had been building rigid airships for more than three decades. Germany used rigid airships during World War One to great effect, greatly increasing the German technology in rigid airship design, construction, and operation. The difference in experience is undoubtedly one of the major factors in the diverse safety records of the two countries. I just took my grand babies to see the spruce goose at the evergreen aviation museum in Portland. Love this post! I wanna go see the Spruce Goose !!! You should! It is so beautiful and amazing. 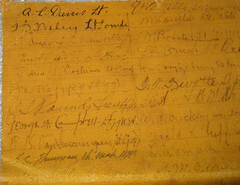 amazingmemory for facts and that the pics are added after the story. Thank you for today’s piece.